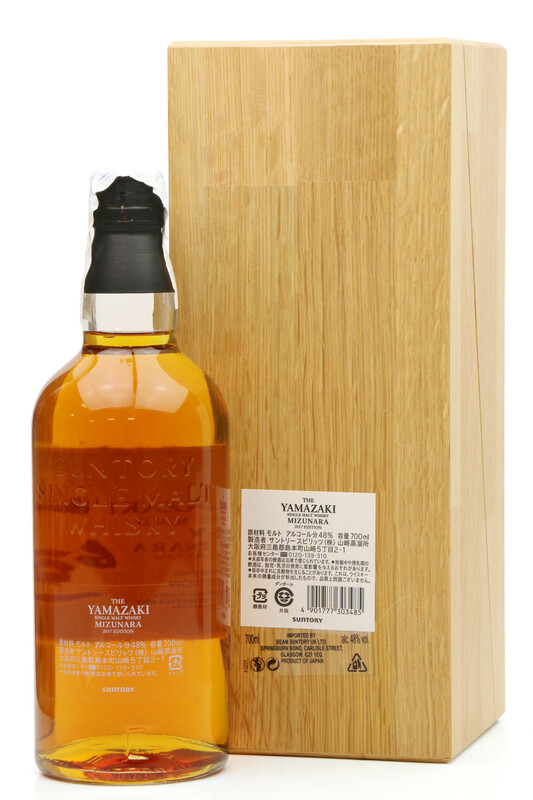 Of the casks ageing quietly in Suntory's cellars, Mizunara casks are the rarest, numbering only a few among thousands. Those whiskies aged over 18 years within the legendary casks are the more precious. 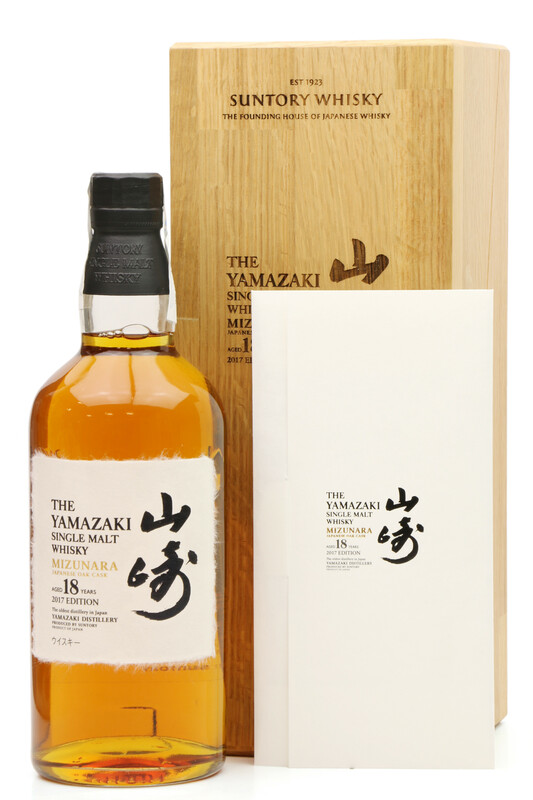 Yamazaki's blenders have carefully selected only the finest whiskies from this prized collection, and through their unparalleled craftsmanship have created the Yamazaki Mizunara 2017 Edition. 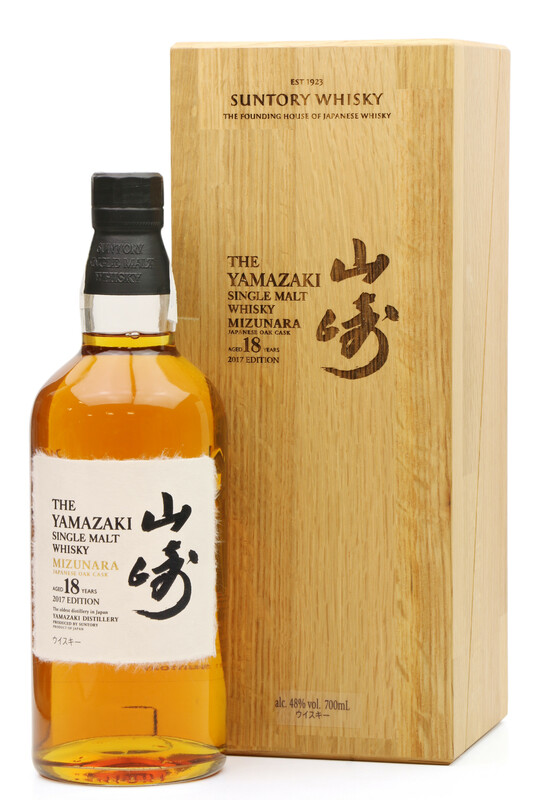 Some of the whiskies used to create this masterpiece are in excess of 50 years, with the youngest being 18 years of age. The mulberry Echizen paper label on the bottle has been created using traditional Japanese methods and the wooden presentation box was created from recycled casks once used to age Suntory whisky. 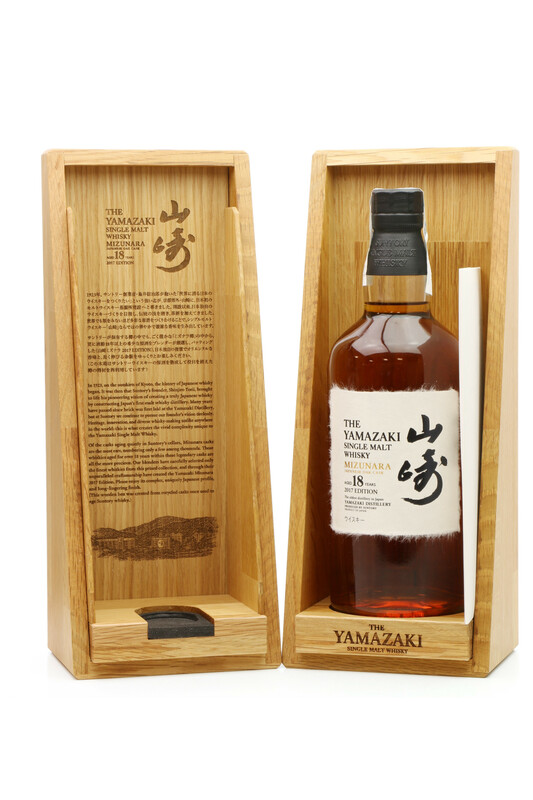 Mizunara wood is notoriously difficult to work with, and consequently, it is very rare to find whisky aged in this type of cask. With many other cask types, whisky usually reaches a maturation peak at some point. But even at 50 years and beyond, the top-note and after-taste aromas of Mizunara whiskies are generally still improving. This unique ability to support long-term ageing affords endless opportunities to experience the evolution and refinement of Mizunara whiskies over time.